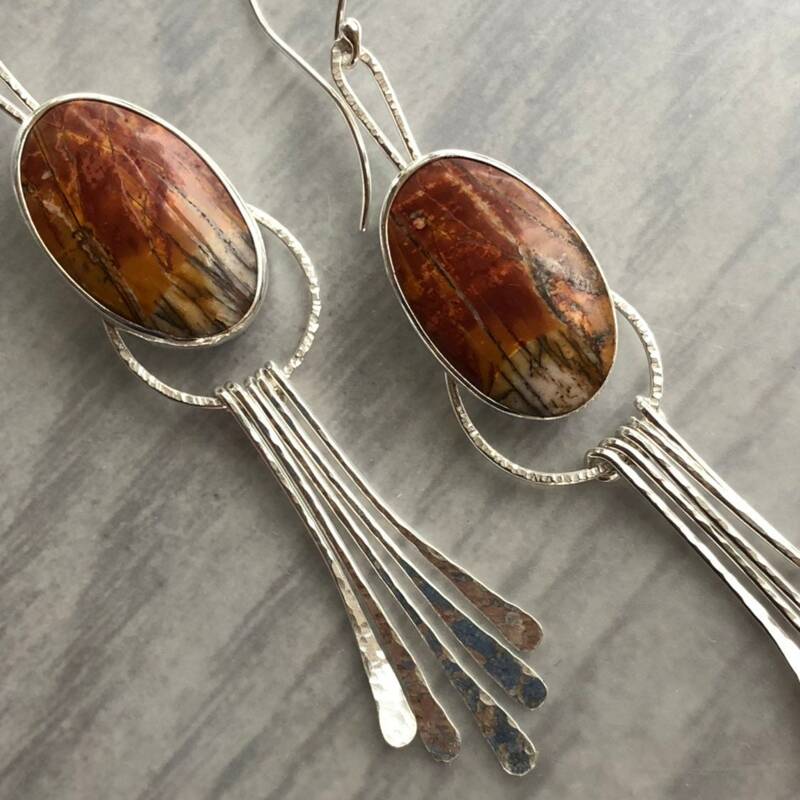 These long statement earrings feature curved dangles below oval Red Creek jasper stones with a deep red color and vertical hematite markings, reminiscent of a red sunrise over the frozen bank of a reedy pond. • The stones are approximately 26x17mm. 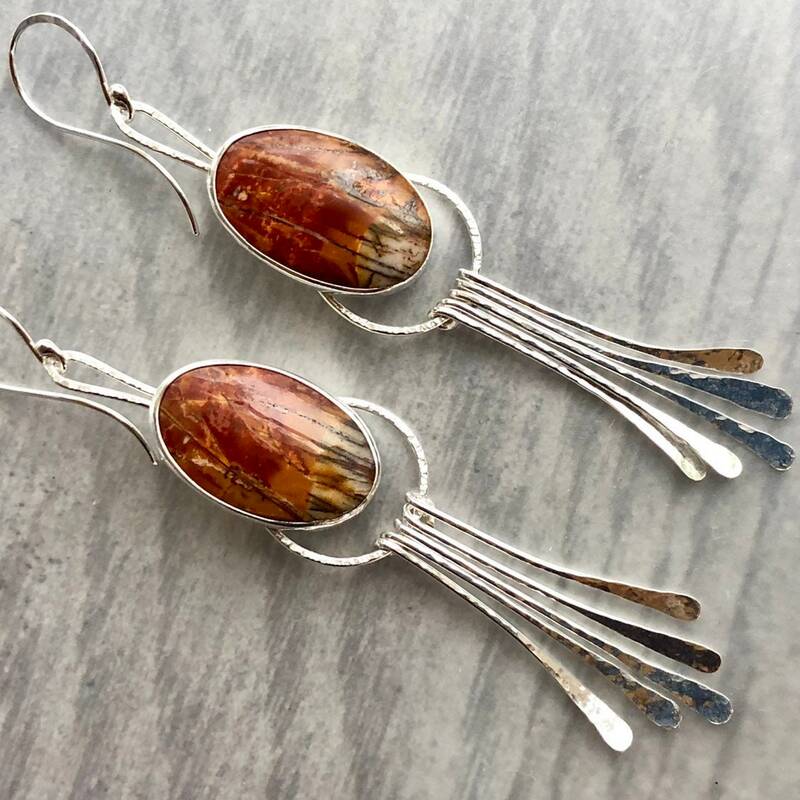 • The earrings measure just under 4" long. 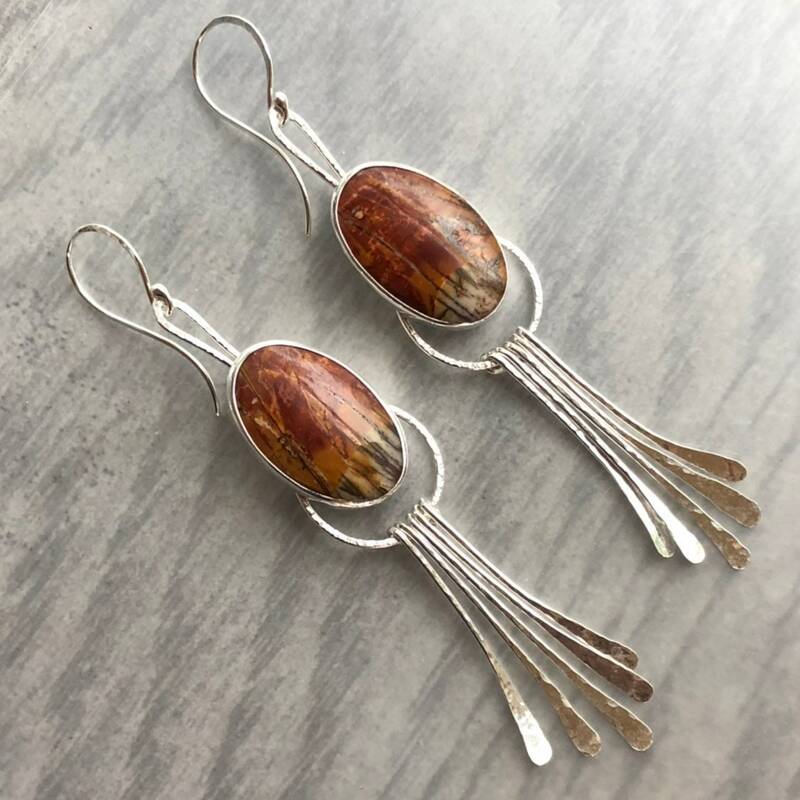 • These earrings include my signature hand forged ear hooks.